The just-passed Financial Services Legislation Amendment Bill (FSLAB) will mark time for the one-man band advice business in NZ, according to Richard Holden, director of newly-expanded advisory group, Milestone Financial. After missing its original March deadline, FSLAB passed its third reading last Thursday, setting the clock ticking on a reform process expected to upend established industry structures. The legislation – now awaiting royal assent – was a key driver behind the merger last week of the Milestone and Kepler financial advice groups into a national co-operative, trading as Milestone Financial. Holden said while hefty compliance obligations were already pushing advisory groups together, FSLAB “accelerated the process”. The Milestone joint venture includes seven underlying advice firms, 25 advisers with responsibility for $6 million of annual insurance premium and $1.4 billion of funds under management (some of which is held through the eight discretionary investment management services – or DIMS – licences owned throughout the group). All seven firms would retain their existing ownership structures under the JV but operate a shared services model covering items such as compliance, research and investment selection. Holden said the enlarged group would be able to exert some buying power with suppliers such as fund managers and insurers. He said Milestone already had an approved product list (APL) with an investment steering committee also just appointed. The APL was based on third-party research – primarily from Morningstar – but Milestone advisers could use other products with oversight from the investment committee. “However, we don’t want to be under the sway of product providers about what to put in the APL,” he said. “We will avoid any potential conflicts with no quotas or volume-based requirements for our advisers. Once FSLAB goes live, Holden said each underlying advice firm would likely seek their own Financial Advice Provider (FAP) licence rather than operating under a single Milestone legal stamp of approval. He said the single FAP model would probably be too prescriptive for the disparate firms in the Milestone group. He said Milestone had fielded a number of enquiries from advisers over the last week. Holden estimated the number of Milestone member firms could easily reach 11 before FSLAB goes live. In a statement last week, Commerce Minister Kris Faafoi, said FSLAB transitional licensing should open up by the end of this year before the new advice regime comes into “effect in the first half of 2020”. The Ministry of Business, Innovation and Employment (MBIE) estimates about 2,240 FAPs – the basic legal unit of the new regime – would ultimately form, representing 8,000 ‘financial advisers’ and 21,500 ‘nominated representatives’. Financial advisers must be registered to provide advice while nominated representatives (NRs) have no formal regulatory registration requirements under the incoming law. However, FAPs will be legally responsible for any NRs they employ. In the only major last-minute change to FSLAB, Faafoi inserted a requirement in a supplementary order paper (SOP) limiting NRs and advisers to work for just one FAP (with some minor exceptions). The anti multi-FAP clause was intended to pre-empt confusion over liability if “something went wrong”, Faafoi says in a cabinet paper explaining the SOP. 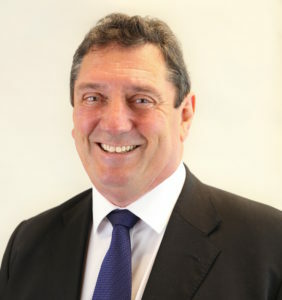 During the FSLAB house committee debate late in March, Faafoi said the FAP SOP top-up was thanks to “Nick Stewart, who is a financial adviser out of the Hawke’s Bay who alerted us to the issue, amongst others, and was quite forthright in his advocacy for us to do something about that within this piece of legislation”.